There is no denying that real estate investment is one of the great ways to evaluate bond-type returns, generate potential future cash flows, and make incentives such as “tax credits.” These credits vary depending upon different factors and can help builders and investors to increase a property’s profitability. According to Federal law, business owners are allowed to subtract a certain amount of sum against a tax liability that they are liable to pay to the government. This dollar for dollar reduction in the income taxes is known as tax credit or incentive. Form 3468 permits real estate entrepreneurs to claim certain credits such as historic, investment, low-income housing, and energy tax credit. The HTC covers the costs of renovating monuments, historic buildings,and pre-1936 structures. This incentive only applies to the commercial real estate properties that generate income. You can demand 10 percent of the reconstruction costs for structures that were built before 1936 and 20 percent for certified historic properties& monuments. Under certain circumstances such as natural disasters, you can claim up to 13 percent for pre-1936 structures and 26 percent for others. The primary objective is to make old buildings economically viable. HTCs encourage the preservation of a building’s original appearance, materials, and values. Let’s assume you owe $120,000 in federal income tax. You spend $600,000 on reconstructing a historic building. After completing the project, you are eligible to get 20 percent of the total costs. It means you receive $120,000 HTCs, and now you owe $0 in taxes. ITC permits entrepreneurs to deduct a specific percentage of certain investment costs from their tax liability. This credit was created in 1962 to protect businesses (American) from emerging foreign competition. Nowadays, however, these credits can be used to rehabilitate a property, purchase appliances & machinery, and install or upgrade energy-efficient products. Investors get a spectrum of opportunities to make an investment using ITCs in real estate, qualified assets, and businesses. LIHTC was introduced under the Tax Reform Act of 1986. The primary goal of this incentive is to facilitate affordable and sanity housing for eligible low-income buyers. LIHTC program offers tax credits to builders, corporate investors, and individuals to invest in the development, renovation, and acquisition of rental houses. Simply put, it is an indirect federal subsidy that finances low-income housing. Under this program, developers can calculate the credit percentage based on total costs that were incurred during the development of the property. In addition to that, they can claim the incentives over a 10-year period. For example: Let’s say a building was constructed after spending a hefty amount of $1,000,000, which means the owner can make a killing with a profit of $90,000. NMTC benefits real estate investors, non-profit communities, and property management corporations. New market tax credit program came into existence in 2000. It offers an incentive for investment in low-income communities against their federal income tax. Under this program, you can claim 39 percent of the original investment amount over a period of seven years. Applicants who want to receive the NMTCs must have their subsidiary entities certified as Community Development Entities (CDEs). CDEs are formed by both for-profit and non-profit entities, including investment banks and real estate development companies. NMTC is an efficient and cost-effective approach to get venture capital to handle operating costs of a business and start various real estate projects. In addition to these credits, you can also claim the residential energy credit and solar energy credit for energy efficient projects that you have worked on and completed successfully. Whether it’s a non-business property or commercial one, you are qualified to receive around 30 percent of the aggregate costs. 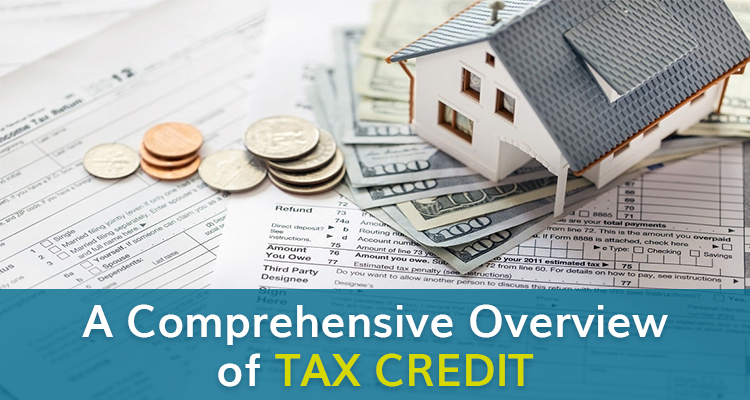 It’s no secret that the above-mentioned tax credit programs provide tangible tax benefits to real estate builders, investors, and investment banks. These incentives are specifically designed to increase the supply of equity financing, improve the bottom line, and provide other significant social benefits. If you want more information on various tax credits programs, then contact us for a quote. Call us @ (909) 377-3137 or drop a message at bb@arrowbcd.com.